I realize sometimes our life on social media looks like one trip after another and many wonder how we can afford to travel so often. First and foremost, we prioritize travel over anything else. We drive a beat up old car, we don’t eat out often, and we are all around thrifty. I almost always buy things on sale and since we have moved around so much, we try not to spend money on material things that we can’t take with us. When we travel, we generally travel on a tight budget. 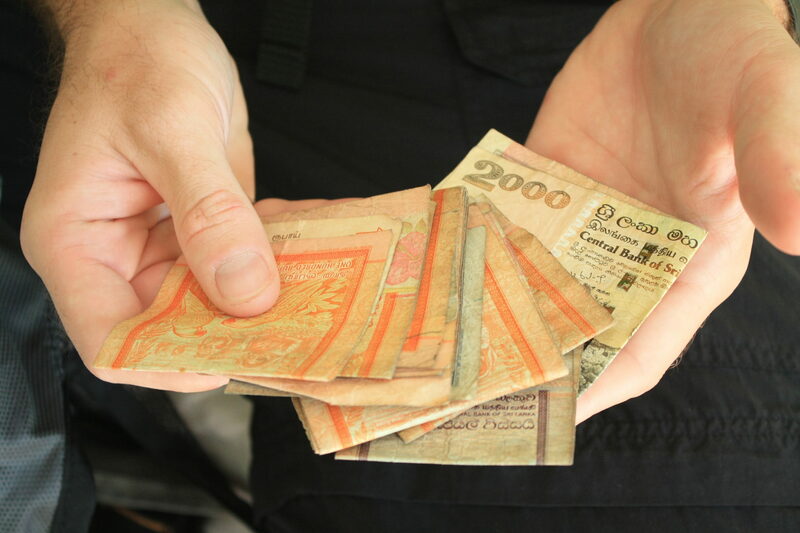 In fact if we are travelling in developing countries, our style of travel is backpacking and our daily budget is $100 all in for our family of 5. We are happy traveling on a budget. I find it allows us to get a better sense of a country and its people. Sure, we might not be able to do everything we would like to at a destination, but it forces us to seek out free activities like wandering the streets or finding the local playground. You read all my tips and advice for family travel planning in this post. In Australia our travel tends to be shorter getaways since Paul is working. Australia is extremely expensive to travel in and since we have income coming in and don’t travel full time, our Australian travels are more mid-range. If we are going on short getaways from Melbourne, we choose to camp, which keeps costs down. Read my full post on how you can travel more as a family. 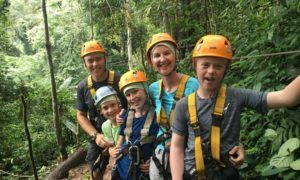 And if you need a reminder about why you should travel with your kids, check out this post about 7 benefits of family travel. 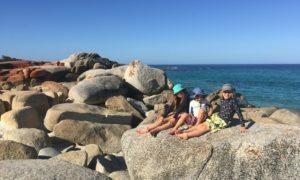 After 15 years of travel, 10 of those with kids, here are some of our tips for family travel on a budget. 1.21.1 Enjoyed Reading this Post? SIGN UP for more. I know many people worry about taking their kids out of school for a family vacation, but I say just do it! We have found teachers to be really supportive of our travels with little concern. Obviously this depends on the country you live, but in Australia and Canada, we have had no difficulty traveling during school terms and for extended periods. We have also visited many countries in low or “green” season and have found good savings. In the tropics, it rarely rains all day and we don’t find an hour of rain each day effects our holiday. Recently we traveled to India in the green season and in addition to cheaper prices, we didn’t have to book accommodation in advance. Sure, it might be harder than transportation catering for tourists, but it is saves a lot of money and allows you to see the country in a different way. 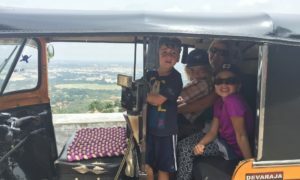 We loved taking the chicken buses in Nicaragua and the trains in India and the songthows in Thailand. We met local families, learned more about the local culture and ways of life and had a much more authentic experience. In fact, one of my all time favourite traveling memories was in India last year when we were befriended by strangers on a train. When we travel we prefer to wander the streets of a city, explore the parks, or go for a hike. These cost us very little. We splurge occasionally on a tour or attraction, but try to do free and active activities whenever possible. We love traveling in Asia because it is so affordable. Since living in Australia, we have traveled a lot through Australia, which is really expensive. Since we are working here, that works for us, but if we are travelling for an extended period of time, we much prefer traveling in Asia where our money goes a lot further. In fact, even if you want to stay in five star accommodation, you can do that at a fraction of the price of Australia, Europe or North America. The faster you move, the more expensive is it as your transportation and attraction costs increase. By traveling slower, we cut down on transportation costs and don’t feel as rushed to cram everything in. We spent a month touring Nicaragua and could have easily toured multiple countries in South America, but purposely chose to slow down and experience one country more deeply. We also find that when traveling with kids, slower is better, which also allows more flexibility. We had lots of time to get to know Nicaragua in our month there. There are usually lots of ways to experience and spend money at different destinations. We try to find the balance between splurging on a few items that we really want to do and tempering that with lots of free and active activities. That is why we love traveling in Asia because the culture and people are so interesting to us, that we don’t need to pay money for more manufactured experiences. We do sometimes buy souvenirs, but we prefer to spend our money on unique and interesting experiences, rather then things. I do not like clutter and although there are lots of interesting things to buy when on holiday, I try to think practically about where they would go and what I would do with them. If we do buy mementos from our trip, we try to buy directly from the artist. Some of the great travel keepsakes we have at home are a table we bought in Malawi in Africa for $20. It is intricately carved and we met the artisan making the piece. We shipped it home while on a 6 month trip and it definitely has a special place in my heart, even if it isn’t the most practical item. One item I often buy are Christmas tree ornaments as they are small and we can remember our travels when we are home decorating the tree. I also really like to buy consumables while traveling, like a special coffee or spices or home made soaps. We bought a beautiful hand carved wooden table on the road side in Malawi. I love to research travel and spend hours preparing for an upcoming trip. We often find exceptional quality accommodation and things to do as recommended by other travelers that offer amazing value. So even though we travel on a budget, we often experience much higher quality activities and accommodation then what we are paying. If somewhere is popular, there is probably a reason why. When traveling in Asia, we prefer to eat at local restaurants where we find the food is better and much cheaper. We look for busy restaurants when deciding where to go. Our kids do sometimes get tired of Asian food and that is when we will go to a restaurant that caters to tourists for the kids to get some Western food. Asian hawker stalls = cheap and delicious! We often have a few places in mind for our next trip and will make the decision based on where we can find the best flight deal. I wanted to go to Asia later in the year, but wasn’t set on where in Asia. Scoot had a great sale with really cheap flights to Singapore, so that is where I am going in November. It could have been Vietnam or Thailand, but Singapore was the best deal. If we are planning a trip and have a layover along the way, we will often turn that into a longer stopover. That way we get two destinations for the price of one, since often airlines will allow a free stopover. We find this also helps the kids deal with jetleg. We are always on the look our for flight promotions. We subscribe to all the big airlines and deal sites like Secret Flying. We don’t love them, but we almost always choose them for domestic flights because the savings for five people really adds up. We also think of the savings as money we can spend on a nice restaurant or a tour or attraction. That being said, we have learned to be very careful when booking budget flights. Last year we booked super cheap flights to Bali that we ended up not being able to use because we couldn’t get away that month. We couldn’t change our dates or get a credit and ended up walking away from a substantial amount of money. It was a lesson learned. Don’t be tempted by cheap flight sales. Make sure you can travel on those dates, because you won’t be able to make any changes to your booking. Remember that budget airlines will nickel and dime you for everything. Make sure you are comparing apples with apples when comparing flights between budget and full-service airlines. If you can travel with carry-on only, you can save a lot of money. Read this post to check out the best carry on luggage options for kids. For our family of 5, we find it really difficult to book hotels at reasonable rates because they want us to purchase two rooms. We almost always stay in Apartments, booked through Airbnb. This usually gives us multiple bedrooms, a kitchen and we get to stay in a local neighborhood. When travelling and heading out on day trips, we will often pack sandwich lunches. Yes, we would love to be eating all our meals out at restaurants or cafes, but we can save a lot of money having a picnic lunch. This also ends up being healthier usually. We usually will eat one meal out a day because we are on vacation. In more expensive countries we often will buy sandwiches at a grocery store or food truck and find a park for a picnic lunch. This is another one of the things we love about staying in Airbnbs – the ability to cook our own meals. We find it is a lot cheaper to eat lunch out then dinner. I try to pick simple meals that are quick and easy to prepare, like pasta or tacos. I also find that after a full day out sightseeing, the kids are tired and like to relax back at our home away from home. I hate paying for water, both for the cost and environmental impact. We always carry and refill water bottles in a daypack. My kids are hungry all the time and I certainly don’t want to be buying snacks for them throughout the day. We always carry snacks like granola bars, fruit, nuts and cookies for when they are feeling hungry. Check out this helpful post for great travel snack ideas for kids. We find a great way to save money is by not ordering drinks when we are eating out. We are perfectly happy with tap water in developed countries and inexpensive bottled or filtered water in developing countries. Coupons don’t really come in paper form anymore, but you can still use online coupons, discount books or discount websites to book tours and attractions at a much lower price. Here in Australia, the Entertainment books for each region have significant savings with the added bonus of helping support a charity as well. If you are visiting an attraction, you may be able to pre-book tickets at a discounted rate on their website, Klook or Viator. When traveling in developing countries, don’t be afraid to negotiate especially when it comes to markets and transportation. Do your research in advance and know what the going rate is for a tuk-tuk ride across town. I don’t like negotiating and usually leave this up to Paul. If you negotiate light-heartedly, the vendors are usually more then happy to find a common ground. Don’t be scared to negotiate. In many countries, it is expected. If you like this post, please share it! PIN it to Pinterest. Fantastic tips! We love public transport too, and self catering is a given if it’s available. I’ve also discovered that some of the bigger more expensive attractions will often have a “free” day once a month or so, that can save a ton if you’ve done your research! Thanks Anita! That is a great tip about looking out for free days at attractions. Saving money for me is like a compulsive thing built right into my genes LOL! We are Melbourne based and would gain so much from a chat! Hi Brendan, thanks so much for getting in touch. 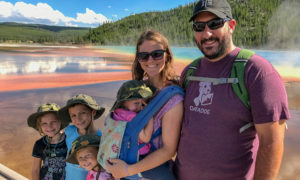 Always great to meet another traveling mad local family:) Shoot me an email at dawn@5losttogether.com and let me know what you have in mind. Cheers!